The Canalys Mobility Forum EMEA 2009 took place in London on the 17th of November. A highly informative event which gave industry experts insights into the evolution of the pc and phone industries for the coming years, it specifically developed a discussion around the dynamics of the netbook and smartphone sectors. Biz-News.com was with Patrick Remy, VP Devices for Orange Group a young French industry professional that is based in London. Patrick gave us some insights into the work of Orange Group and how it is managing to keep on top in a market that is continuously changing and where customers are growingly more demanding with the devices and services operators offer. VIDEO INTERVIEW. The Canalys Mobility Forum EMEA 2009 took place in London on the 17th of November. A highly informative event which gave industry experts insights into the evolution of the pc and phone industries for the coming years, it specifically developed a discussion around the dynamics of the netbook and smartphone sectors. 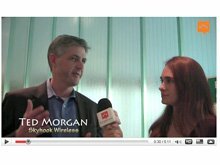 Smartphone.Biz-News.com spoke to Ted Morgan, CEO of Skyhook Wireless, an American based company that has great passion for its developed iPhone App, a location based app which has been used to develop most extraordinary and original apps. Watch our video interview to find out more. VIDEO. Biz.News.com reporters navigated to TomTom’s stand at IFA 2009, where Sarah Schweiger, PR Manager for TomTom, gave them a brief introduction to the company: their main markets, competitors and challenges as well as newly released products, including long-expected car kit for iPhone scheduled to ship in the U.S. in October. VIDEO INTERVIEW. “After watching Blu-ray video or other HD content, you will never go back to Standard Definition,” assured Konstantin Dyshlevoy, Chairmain of HDI Dune, interviewed by Biz-news.com at IFA 2009. During this year’s Berlin exhibition HDI Dune was showing its new versions of hybrid Blu-ray/HD media players that have been recognized as “IFA 2009 INNOVATION”. Biz-News.com reporters interviewed Klaus Düll, the owner of PRETIOSO, the distributor of Datomo mobile solutions for German speaking market. Datomo provides mobile application development and marketing services and offers web to mobile content integration& adaptation. PRETIOSO localizes all the Datomo’s apps for the German language. Klaus gave us a live demonstration on the world’s smallest wireless printer and scanner designed for smartphones and offered by PLANon. According to him, the printer is also the world’s first to have built in paper cartridge. VIDEO INTERVIEW: Biz-News.com interviewed Ann Meng, Marketing & Sales Manager of Menq International. She presented the company’s star product – mini GPS/GSM tracker with GPRS. This tiny device shows directly map location on any mobile without installing any software and transmits the SMS message of longitude, latitude and location link to cell phone. It supports indoor orientation, single location reporting and continuous tracking. In case of emergency, help message with location is send to all preset phone numbers. VIDEO INTREVIEW. 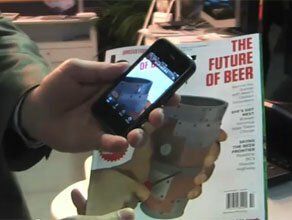 This time at IFA 2009 our reporters interviewed Riddhi Patel, the iSuppli analyst. Riddhi is responsible for the television and plasma display panel (PDP) analysis. She shared with us her latest discoveries on HDTV market as well as her opinion of the nearest future of LCD technology that has dominated our living rooms. She was visiting this year’s Berlin expo looking for some big innovations. Watch the video to check out if she has found anything that took her breath away. Eric Matthes, Channel Manager of HTC, was interviewed by Biz-News.com reporters at IFA 2009 in Berlin. He explains the innovativeness of the two company’s handsets – Magic and Touch Diamond2 – that have been nominated for Plus X Award. Our reporters were also one of the first to see the HTC’s Tattoo, short of the release.